On Wednesday, July 4th, Synergy will be closed to observe Independence Day. Normal business hours will resume on Thursday, July 5. If you have any questions, please contact Customer Service. Fortify is a powerful, revolutionary program designed to significantly and drastically improve the gut microbiome. It was the focus of an independently reviewed clinical study that proved its efficacy. Click here to view the results of this study. Many who have tried Fortify cannot get enough of it. 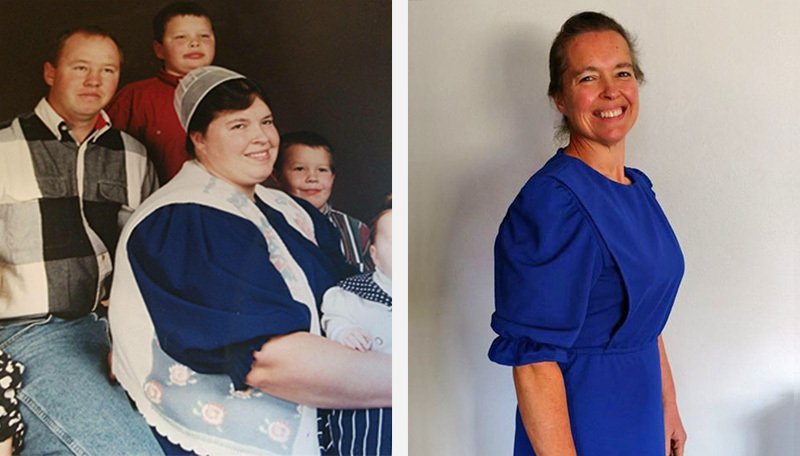 Pete and Eva Miller of Colorado have each completed the Fortify program to revamp their microbiome on their journey to Elite Health. 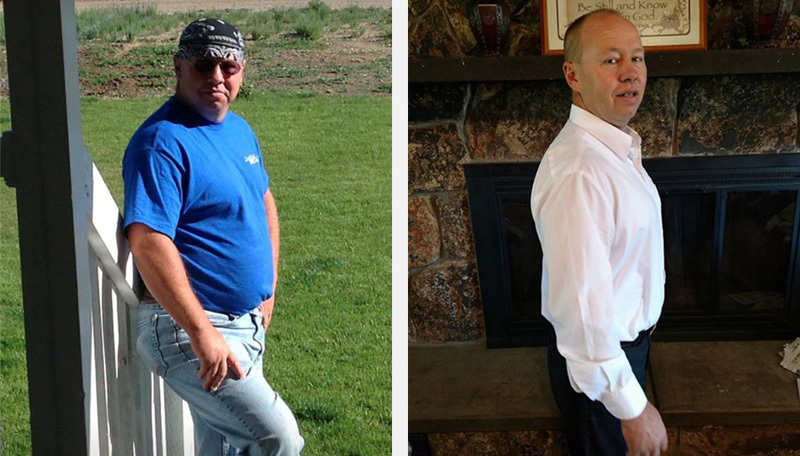 If you have not yet tried the program for yourself, now is the perfect time. 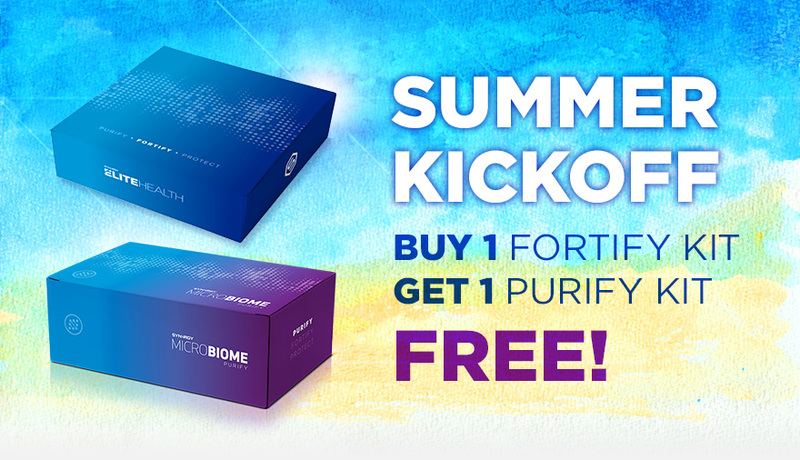 Tomorrow is the last day of our summer kickoff special: Buy one Fortify Kit and get one Purify Kit for FREE! Start your summer off right with an energized microbiome! 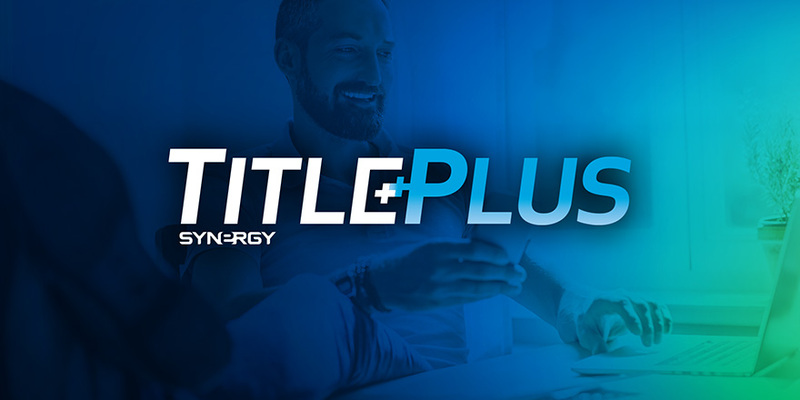 The 2018 Title Plus Promotion is in full swing, and now Synergy is paying out Fourth Month bonuses. Congratulations to all those who have becoming Elite Honors qualified and maintained their titles for four consecutive months to earn this special bonus! We encourage Team Members throughout Europe to set their sights on achieving and maintaining new titles. This leads to not only exciting Title Plus bonuses, but strong Synergy businesses as well. 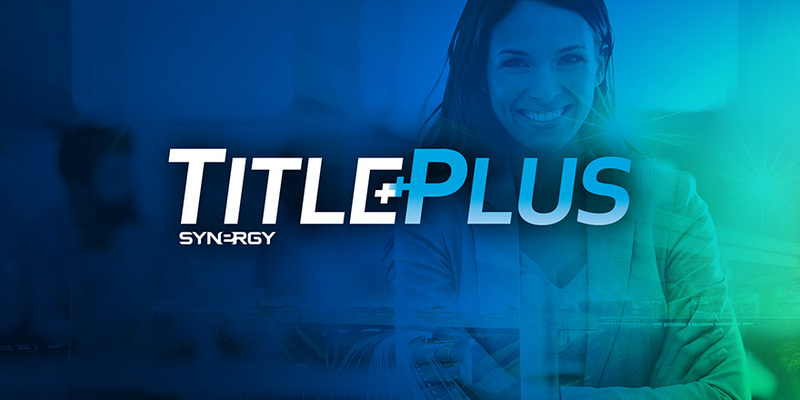 For more information on Title Plus and its enhancements, click here. We are proud of our Team Members who are putting in the effort to reach new heights in their Synergy business and earning some extra money at the same time! Don’t forget to check the PROMOTIONS TAB to learn about each of Synergy’s 2018 promotions. It is an exciting and busy time for us here at Synergy’s corporate headquarters as we prepare to move into our new office. A new chapter will soon begin, and we’re ready for the good times ahead! Please be aware that the Synergy Store on the first floor of our office building will close its doors June 29. Come and walk-through the store one last time to find big clearance-sale discounts on Synergy merchandise! We’re excited to have you visit us at our new building and we’re already planning our next big event there. If you have any questions regarding the Synergy Store or our big move, please contact our friendly Customer Service Team. 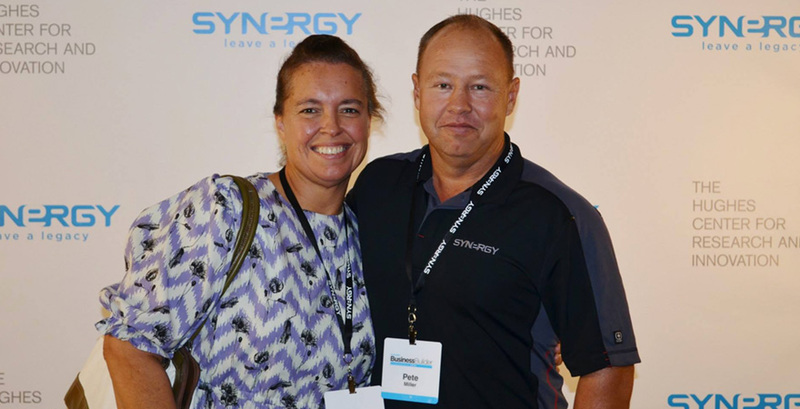 Last month, Synergy paid out over $4,000 in Title Plus bonuses. Congratulations to all those who earned their bonus last month! Buy 1 Fortify, Get 1 Purify FREE! 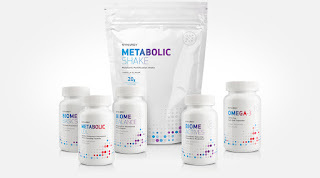 Take your first step toward Elite Health by completing the one-week Purify program, followed by the first month of Fortify so that you can have have more energy for the fun-filled, warm summer days ahead! Order online or call Customer Service to place your order over the phone: (801) 769-7800. Customer Service is available to assist you Mon-Thurs 8:30 AM-5:30 PM (MDT) and Friday 8:30 AM-5:00 PM (MDT). 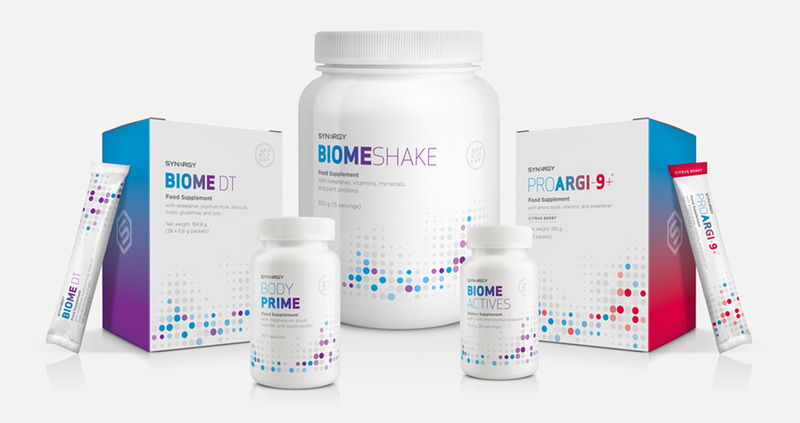 PURIFY KIT– comprised of products clinically formulated to give your microbiome the overhaul it needs to start clean and fuel good health. 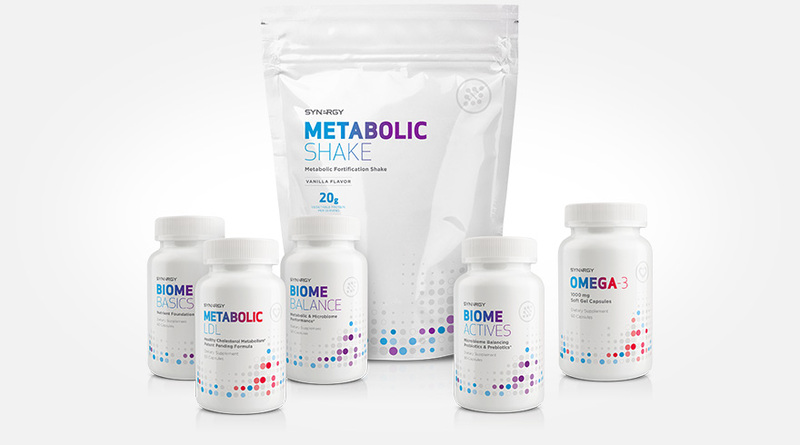 FORTIFY KIT– cutting-edge supplements to support healthy metabolic function, healthy cardiovascular function, and healthy body composition (weight management). 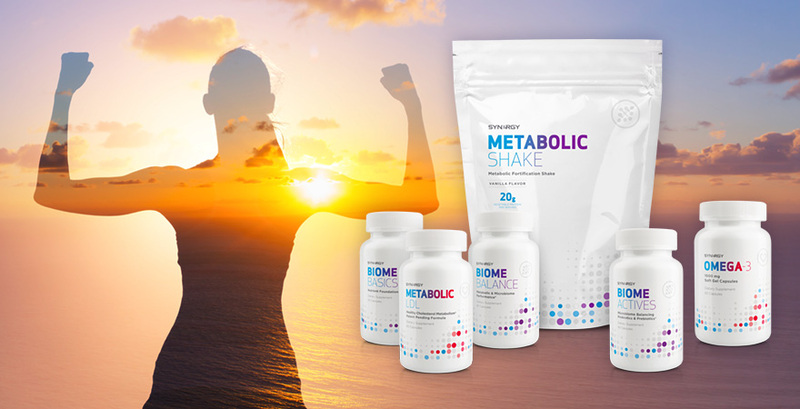 See what your body is truly capable of this summer with a renewed and refreshed microbiome! *Free Purify Kit does not count toward earned CV. Many of our Team Members are already earning product credit with Elite Honors, and we couldn’t be prouder! We want to thank these exemplary Business Builders for their dedication to Elite Health as they labor to Leave a Legacy. Don’t miss out on your opportunity to earn Elite Honors product credit! Start today! CLICK HERE to learn more about how to qualify. Summer is the perfect time to evaluate your health. 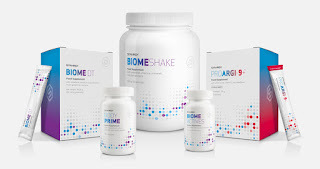 Whether you want to lose weight, increase muscle mass, tone your body, or just revamp your gut, Fortify’s revolutionary program will strengthen and support your microbiome to help you meet your health goals. Stay tuned to the blog as we’re getting ready to kick off our summer Fortify special to get your body ready for the warm, sunny days outdoors. There’s no better time to begin your journey to Elite Health! In addition to the special, we will also be giving away FREE Fortify Kits! Be sure to like and follow us on Facebook and Instagram and watch the blog for more details… You won’t want to miss this! Already tried Fortify? We want to hear about it! Email us at marketing@synergyworldwide.com. Last month, a phenomenal group of Team Members became Elite Honors qualified. The 2018 Elite Honors Club is being reinforced by strong, passionate individuals. We look forward to seeing the new heights attained by consistent achievers. Thanks to the dedication and passion they bring to Synergy, the Elite Honors Club member will continue to reach new levels of success.